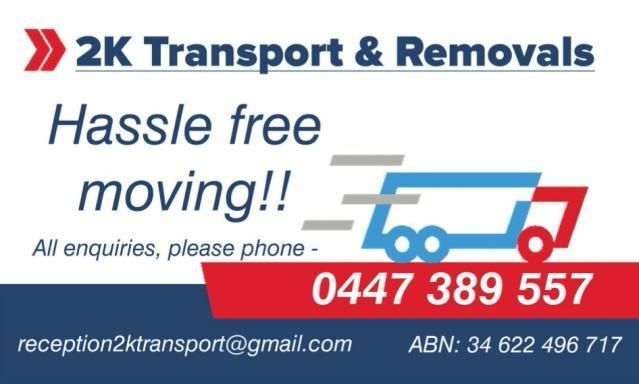 We are a family owned and operated furniture removal company based on the Sunshine Coast. We are a fully insured company with experienced and professional staff. 2K Transport is a safe, secure and reliable removal company. Vin hired 2 K Transport for their Removalist job. Highly recommended these guys! Very professional, hardworking and got the job done! Very welcoming & friendly! Job Description: Moving into a brand new empty house from storage. New large items such as fridge, washing machine, TV Lounges are all still in the boxes. I will be trying to move most of the smaller items and boxes myself to leave it clear for the removalists to get the large furniture only. Stored at an easy to access storage unit on the first floor with a lift and trollies. Amanda hired 2 K Transport for their Removalist job. Rob hired 2 K Transport for their Removalist job. David hired 2 K Transport for their Removalist job. Peter hired 2 K Transport for their Removalist job. Job Description: Moving date FRIDAY 21 September. I couldn't put the correct date as the calendar wouldn't move up to get to the date needed. 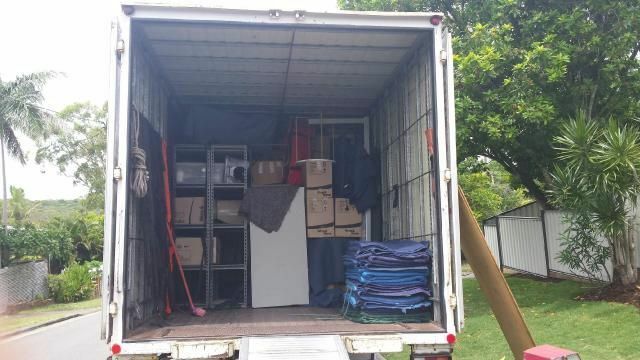 Updated 14 Sep 2018 at 10:05am: The smaller moving truck is sufficient for my things. 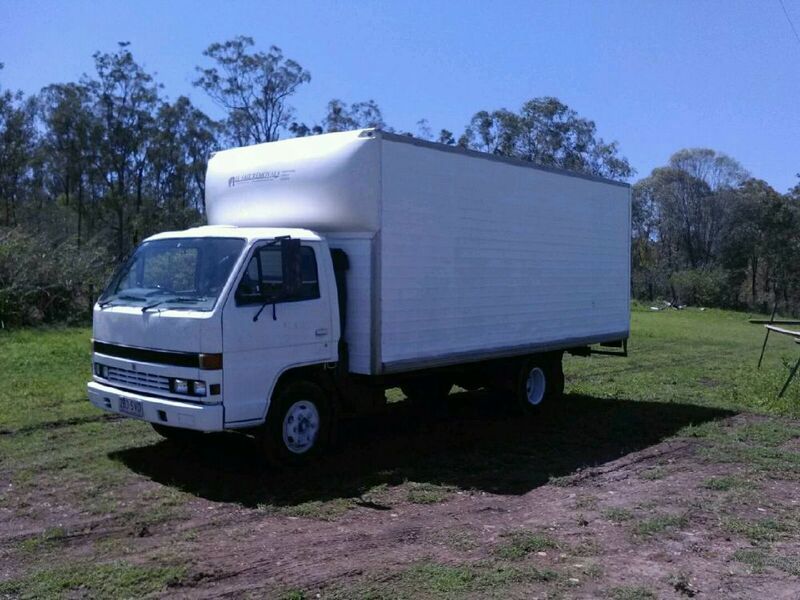 Liz hired 2 K Transport for their Removalist job. These guys were great. Did the job quick and efficiently. Tracy hired 2 K Transport for their Removalist job. Guys arrived on time, very efficient and professional. Took all the stress out of moving house. Highly recommend. Very happy with this service and the boys did a great job! Would definitely recommend and use again. Good job. The boys worked hard and fast to get it done. Job Description: One person. Not very much stuff. Not taking the fridge or dryer. One bed, one counce, dining room table and chairs, two bookshelves, office desk, filing cabinet, 2 x drawer units clothes dishes books and the like. Professional, quick and thorough. The guys were great. It couldn’t have gone any smoother. Fantastic awesome guys worked so hard never stopped. Extremely happy would highly recommend and use again .Thank you so much made my move so much easier. Job Description: If there is a cheaper date, please inform. 2K were punctual, professional and great to work with. Their friendly and 'can-do' attitude made a tiring day of moving enjoyable. Joan hired 2 K Transport for their Removalist job. Job Description: Unit is on ground and first floor. Only fridge will need moving downstairs, all other furniture is on ground level. Actually have 4 tables but all are small in size, so listed as 2. Cath hired 2 K Transport for their Removalist job. Job Description: very small amount of furniture on second floor of unit to be taken to storage facility. Nicki hired 2 K Transport for their Removalist job. Nice friendly and got the job done!! Polite, prompt and professional at a fair price. Would definitely recommend. Job Description: The house is actually 2 households together in 1 house. The removal quote is to move 1 household only. Job Description: We have a three bedroom townhouse that has a set of stairs leading up to the living area. Although we have a number of boxes we will have them moved to the 1st level of the house for removal day, to speed up the process. Excellent service ! I had one really great guy named Matt and he went above and beyond to help me move and at a very reasonable price! Will use them again. We cannot speak highly enough of 2K Transport. Their professionalism, support and cooperation during our move left nothing to be desired. Nothing is to hard for Matt and his team so do yourself a favour and get a quote, you will not be disappointed. The men were brilliant and careful with our belongings. on time arriving and efficient. Forgot to mention travel cost but that was ok they didn't have to go far! would recommend. Job Description: I REQUIRE THE COUCH AND 2 RECLINERS TO BE PUT INSIDE, THE WASHING MACHINE TO BE PUT IN THE LAUNDRY (WHICH IS IN THE GARAGE), 2 BED BASES INTO BEDROOM, FRIDGE IN KITCHEN AND REMAINDER LEFT IN THE GARAGE. Great job. Friendly, professional and fast working. Will use again. These guys are the best! Got a quote and confirmation for same day removal in little over an hour. Even though we got hit with a massive storm half way he helped me get my furniture in out of the rain in time! Thank again guys! Will definitely be recommending you to everyone! With many years of removal experience, I take pride in my work and people's belongings to give them a safe and stress free move. I have several years of experience in furniture removals, working for both big and small companies before starting my own. I also have an extensive knowledge and background of truck driving and transporting freight from previous work. We specialise in local house moving, whether it be just a few items of furniture or a whole house move. Hourly rates start from $100 per hour for truck and 2 men or we can offer a fixed price quote based on how long it would roughly take to do your move. While we are a new business, we are experienced! If you are happy with our service we are offering a gift card for either dan murpheys or the cinemas for any recommendations made that result in a new booking. 1. How much furniture needs to be moved? 2. Is there stairs at the property? 3. Do you require packing materials?